My research, for which I receive a scholarship from the ESRC and Balliol College, focuses on children's law in Singapore and Malaysia. For my MSt, which I completed in early 2018, I explored through two case studies how legal, political and media discourse in Singapore had shaped and constructed the ‘image’ of the delinquent child. In my DPhil, I am broadening out my research to explore how the legal construction of the image of the adolescent in Singapore and Malaysia has changed in the span of time from the late colonial period to the present day, and what factors account for these changes. My broader research interests include reform in family law in England, with a particular focus on how it serves children, comparative child protection law, a sociological analysis of children’s leisure culture, and exploring the intersection between transcultural psychiatry and socio-legal research. 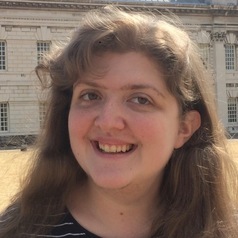 I also keenly support the Oxford Law and Disability Project, and have a strong interest in promoting the study of disability within law.